What's on the agenda: climb a tree, build a den, collect bugs? 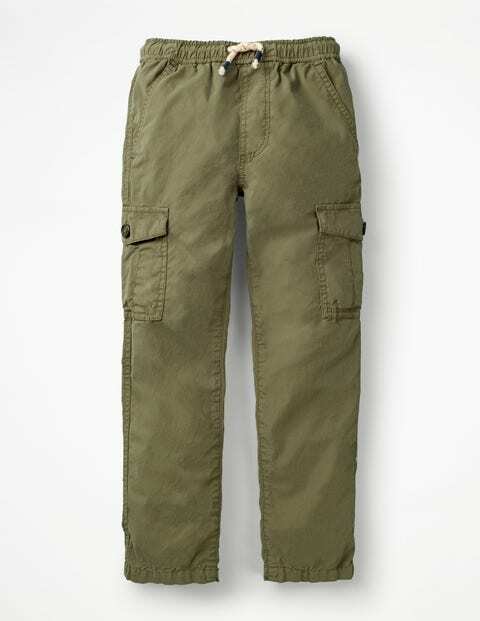 These trousers are ready for any expedition. Made from 100% lightweight cotton poplin, they're easy to pull on with the elasticated waistband and drawcord. Plus, they are garment dyed for a unique finish and there are six (yes, SIX) pockets – just the place for hiding snails and sweets.